M. Opeimius Q.f. 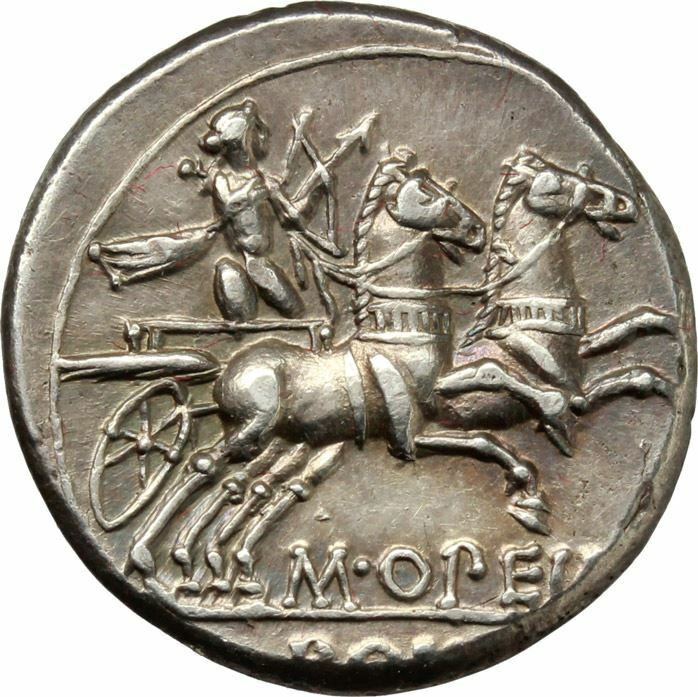 was one of the moneyers for the year 131 BC. He is otherwise unknown. The gens Opimia, also written Opeimia, was a plebeian family at Rome. Members of this gens are first mentioned during the time of the Samnite Wars, and they are mentioned in Roman historians from then down to the end of the Republic. The first of the Opimii to obtain the consulship was Quintus Opimius in 154 BC. The nomen Opimius is derived from the versatile Latin adjective opimus, which may be translated as "best, highest" or "fat, abundant, fruitful". The name belongs to a large class of gentilicia which were either Roman or which cannot be shown to have originated elsewhere.